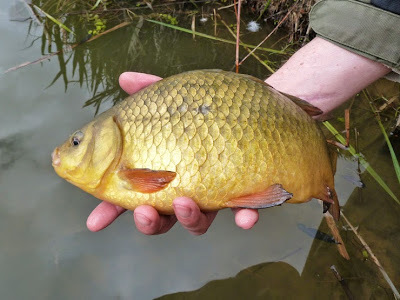 I'm really getting in to this crucian fishing, it's the other end of the spectrum of course fishing for me - fine tackle and micro bites - unlike the barbel and pike fishing I normally go for. So on Saturday I headed back to Marsh Farm with James and we both had crucians on our minds. Meeting at the train station it was obvious we had read different weather reports, me sporting a coat, waterproof boots and an umbrella, James dressed for a day at the beach... I hoped James had got it right... But I'm blaming James' shorts for scaring the sun in! After last week expectations were high, but although we were both getting plenty of bites we both struggled to hit them. After a few silvers I hit a tench, 4lb 7oz, the biggest of the day. 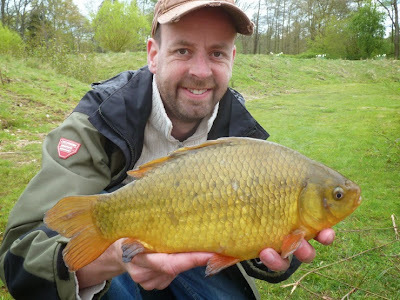 And an hour or so later hit my prize, a 1lb 10oz crucian, the first of three in the morning, the others going 1lb 0oz and 2lb 4oz (top photo). The afternoon was a mixed bag of tench, skimmers and silvers and my first rudd, perch & gudgeon from the venue. I did land a surprise bream, at 3lb 8oz it was bigger than the stamp of fish we thought were in the lake. And a new PB, I'm still aiming for a Thames 5+ this year, but it was great to do three PBs in 3 trips. 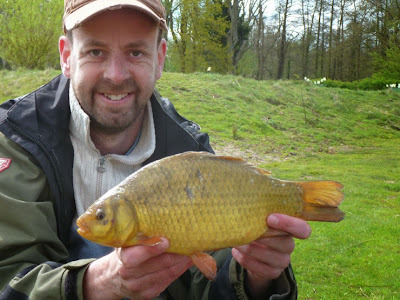 All in it was 9 tench, 3 crucians & a bream for 29lb 14oz plus perhaps 5lb of bits. A tougher day but a great result. And James, I'll leave his side of the story to his blog - but I will say he leaves these things to the last minute! Beautiful fish, not the best day to break the camera. Fixed! 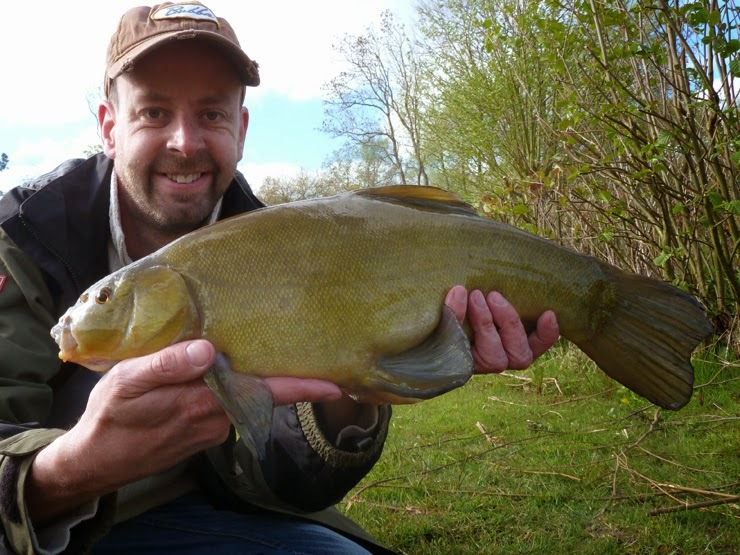 Glad your enjoying the Crucians and Tench their good fun! Hi Stu, you should come with us next time, just don't trust James' weather report! I didn't delete that btw. Are you sure you read the weather for England? Those crucians look like a little power house of a carp. Glad to see you catching some good fish. 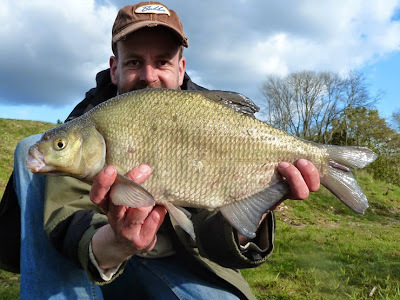 They're great - not very good fighters, they don't take any line, you just gradually bully them to the surface... Where they seem to spit the hook! But from what I've read you need to have pretty perfect presentation to tempt them.